Seattle Twee Pop pioneers Tullycraft (and, I’m sure they cringe at every reference to that genre name) may have taken six years between albums, but they are still in top form on this, their seventh album. The Railway Prince Hotel, like their earlier efforts, still brims over with sticky sweet melodies, trading off male/female vocals and Sean Tollefson’s endearing habit of writing too many lyrics and rushing to get them all into each song. Songs like ‘Beginners at Best” and “It’s Not Explained, It’s Delaware” are instantly enjoyable and even a nugget like “We Couldn’t Dance to Billy Joel” – a title that even the cheeriest optimist can’t help but roll their eyes at – grows on you after just a few listens. 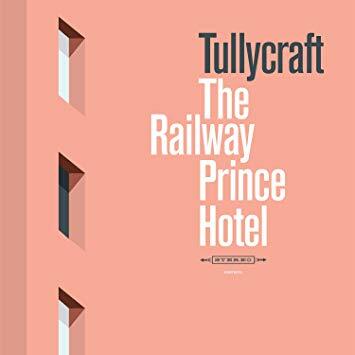 While there is nothing in the dozen tracks here that will likely win over someone who doesn’t already enjoy sunny pop music, there is plenty to love about The Railway Prince Hotel for just about everyone else. 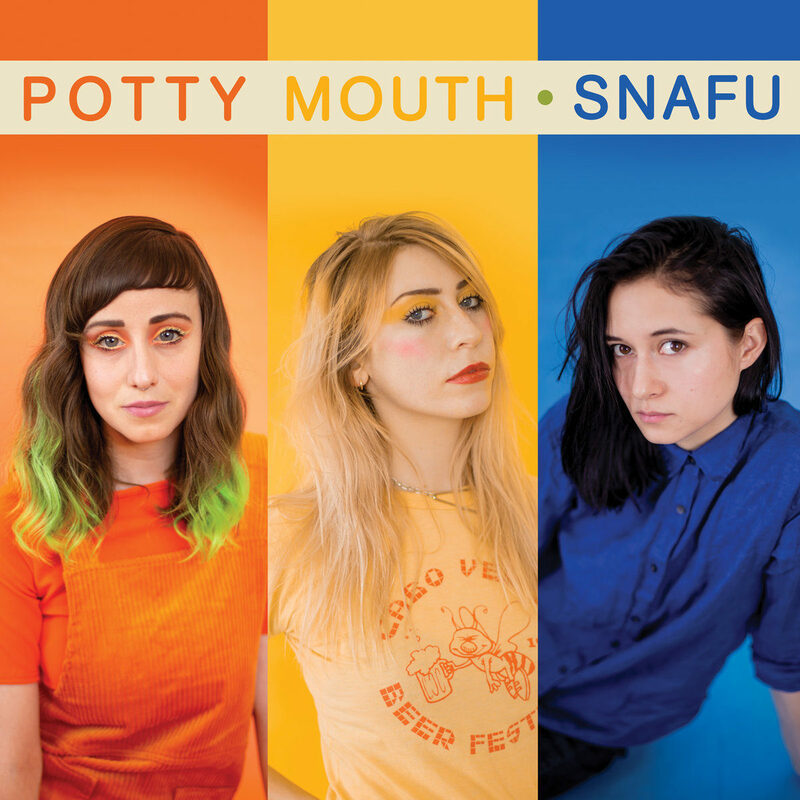 A generation removed from a number of brilliant Western Mass bands that mixed pop melodies and occasional hooks with a strong punk rock foundation (think Dinosaur Jr and the Pixies), Potty Mouth have managed to resurrect much of that same loud, fast smart indie rock spirit on their sophomore LP, Snafu. Following up 2015’s EP and their 2013 debut, the band (now a trio), spent much of their time away from the studio road-testing and perfecting the tracks that make up this new record. The result is a lean, 10 songs that overshadow anything they’ve done before. Stripped completely of any unnecessary bloat, every distorted guitar chord, every drum beat, every lyric serves a purpose here. Singer/bassist Abby Weems has a confidence in her vocals that drive tracks like the album opener “Do it Again” and the infectious “Bottom Feeder”. She can deftly switch from faster fare to more mellow songs with ease, bringing to mind everyone from Liz Phair and The Muffs to The Lemonheads. It may have taken a while for the band to follow up their debut, but the time was clearly not wasted. Long before the band Foreigner became lazy, shorthand slang for bloated, stadium dinosaurs (often and likely unfairly lumped in alongside era peers like Journey, Styx and REO Speedwagon), they were an upcoming band of British and American rockers with a knack for writing catchy, timeless songs with wildly memorable guitar riffs. 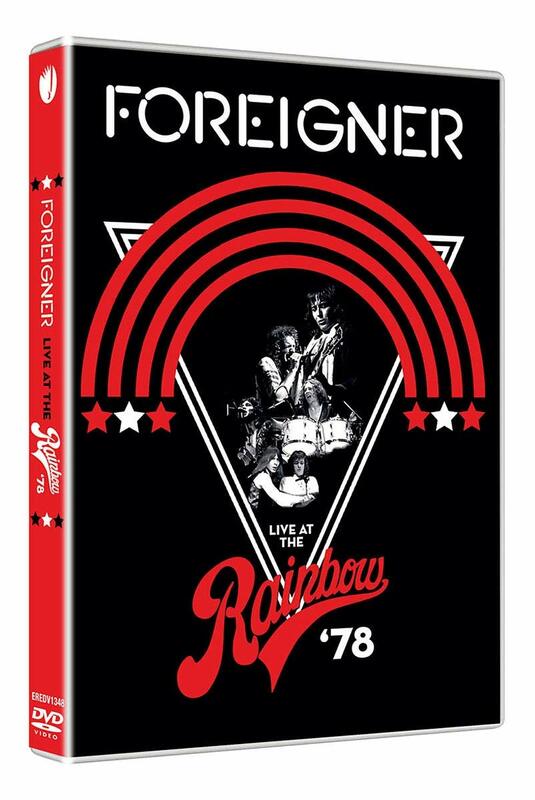 In 1978, just two years into their existence and still boasting their classic line up, they played a blistering set inside London’s Rainbow Theatre and the hour-plus long show is captured beautifully here on Live at the Rainbow ‘78. Touring behind the songs off of their 1976 self-titled debut and the ’78 follow up Double Vision (easily two of their best three records), the Lou Graham-led band tear through a hits-laden set that included “Hot Blooded,” “Double Vision,” “Feels Like the First Time” and “Cold As Ice”. The band is tight and was taking nothing for granted at this point in their career, still working to earn the audience’s favor. There are marks here that reek of a late ‘70s rock show (a flute solo for one; smoke machines, band-led clap alongs), but there is no denying that this concert film captures a classic band at one of the peak performances of their career. Chicago alt folk/Americana upstarts The Way Down Wanderers have managed to spike their music was some interesting elements on their sophomore effort, adding in snatches of jazz and pop here and there, while still remaining true to the sound that made their debut a satisfying affair. 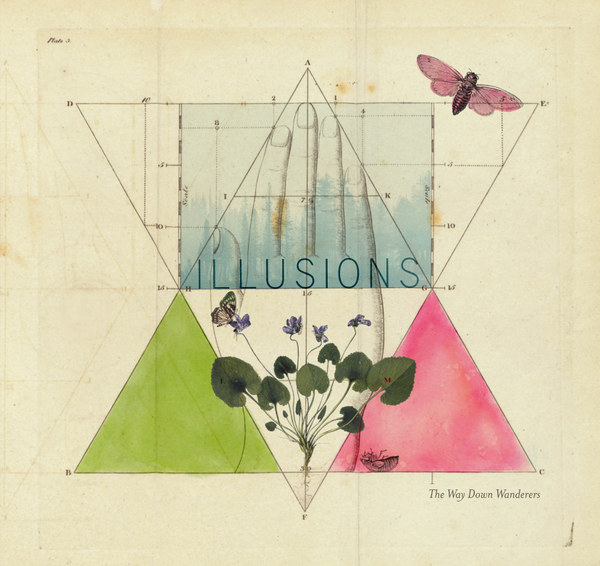 Though not vastly too different from their self-titled record, Illusions takes small steps forward both musically and lyrically for a more consistently appealing sound. Songs like “Frozen Through” and the creative musical stuttering on a track like “She’s Alright” find the band building on the foundation laid out two years ago and starting to separate themselves from an ever-growing field of bluegrass/Americana bands that have sprouted up over the past year or so. While the infusion of other styles for the most part serve to bolster their music, the Reggae-like beat on “All My Words,” has the opposite effect, dragging down an otherwise decent song. Lead singers Austin Krause-Thompson and Collin Krause have impressively built on their strengths from the debut, perfecting their trade off vocal style and knack for strong harmonies. Aside from a few small stumbles here and there, Illusions is another solid effort from The Way Down Wanderers. 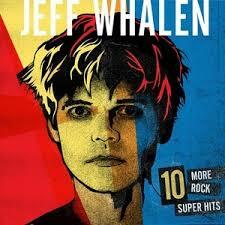 Bands like Sweet and The Cars have long since stopped putting out any new music, but their sound still lives on powerfully strong on Jeff Whalen’s debut, 10 More Rock Super Hits. Whalen, singer/guitarist for the fantastic, albeit short-lived power pop band Tsar, has not lost a bit of the energy or the pop sensibility that made his last group so infectious. But, while Tsar mixed a bit more punk rock-spiked guitars with their music, Whalen’s solo effort is more power pop and glam-influenced. The themes are not particularly cerebral; think summer crushes, cruising and just goofing around (like on the opening track titled, um, “Goofing Around”). But the beauty of a great pop record is that you can take a break from the fact that the world is crumbling around you and simply get lost in fun lyrics and catchy sing-at-the-top-of-your-voice choruses. Among the most imaginative and addictive songs here is the ragtime pop number, “Shanghai Surprise,” that manages to best personify the spirit of Whalen’s album: creatively original, smart and simply carefree. It would be easy to write off this latest Tom Petty Best Of as just another cynical cash grab from record labels; that is if this 38-song set wasn’t such a brilliantly-curated, meticulous collection of Petty’s best work grabbed from his solo catalogue, his long tenure with The Heartbreakers and his pre (and sometimes post) Heartbreakers gig with the band Mudcrutch. Spread out across two CDs, though the songs are not in chronological order, the sequencing is solid, starting off with one of his biggest solo hits, “Free Fallin’” before moving into “Mary Jane’s last Dance,” which was ironically released on the band’s last Greatest Hits album and then moving into another mix of solo and Heartbreakers songs. 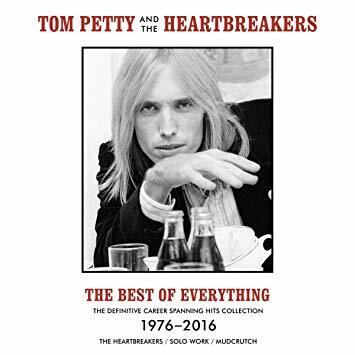 A beautiful companion to last year’s essential Petty boxset, An American Treasure, The Best of Everything spans his four decades in music. And while it certainly houses a slew (i.e. every) hit he ever had outside of The Traveling Wilburys, it also boasts some of his lesser well known, but equally powerful songs. Especially warranted here are two unreleased tracks, an alternate version of “The Best of Everything” and a new track, “For Real”. This set manages to be everything to everyone; a must-have for even the most casual of Tom Petty fans and a perfect launching point for those less familiar with his music (if such a person still exists). There’s a bit of foreshadowing in the opening track from the Andy Browne Troupe’s latest LP, Elephants. On “England,” over a hypnotic synth line, Browne namechecks a slew of greats – everyone from T Rex and Bowie to The Clash and The Beatles. He could just as easily be listing off his influences as brief snatches of most can be heard throughoutElephants, a textbook example of a great rock record that somehow refuses to be pinned down to one specific sub-genre. Elsewhere throughout the album, you can also hear the influences that range from the more obvious – R.E.M. and The Replacements (bands that Browne shared stages with in the ‘80s as part of Atlanta mainstays The Night Porters) – to more subtle guidance from folks like Grant Lee Buffalo and Peter Gabriel’s World Music records (especially on songs like “Warriors Don’t Cry” and “She’s Only Human”). But make no mistake, while Browne may share common musical themes here and there with some of his contemporaries and heroes, he manages to create a deeply original sound of his own on Elephants. Browne fled the south for Los Angeles in the ‘90s, ended up in Philly in the ‘00s and has recently returned to Atlanta, having recruited new band member and recorded this new record, shortly after the also stunning Zazel. 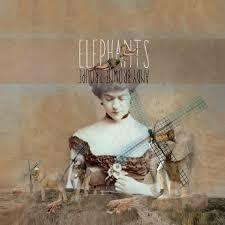 Elephants, at its heart, is a rock record, but Browne and company take the rock foundation and adorn it with brass, gorgeous soaring backing vocals and snatches of jazz and soul. Throughout the 1980s, Athens and Atlanta bands like R.E.M., Pylon, Drivin’ N’ Cryin’ and The B-52s all justifiably were ushered onto a much larger musical stage. The Night Porters unfortunately never got that call. Here’s hoping The Andy Browne Troupe gets the chance at much larger audience that they so obviously deserve. In the rush to pander to the twin gods of Gen X Nostalgia and the booming Vinyl Resurgence, re-release mania has led to some truly questionable offerings over the past few years. 311, Godsmack, The Space Jam soundtrack… But, occasionally, inside the record label vaults, on a long-overlooked shelf, the beauty of a long forgotten album is found. 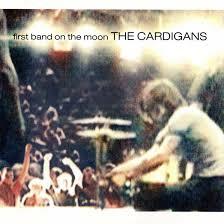 Such is the case with First Band on the Moon, the third album from the Swedish pop band The Cardigans. The record went on to become a best-seller in several countries, after its initial release, including 664,000 copies in the U.S. (a genuine hit in 2019, but little more than one-hit wonder status in the mid-1990s). Universal has finally released a gorgeous 180-gram vinyl, fully remastered, gatefold version of this album. Though “Love Fool,” justifiably is the song the band is best remembered for – a perfect three-minute distillation of strong hooks, sweet harmonies and lush vocals – the record is crammed with other great tracks that never fully got their proper due. Top among them, the urgent “Never Recover,” the trippy “Step on Me” and the infection “Been It,” (quite possibly the band’s best song). The album also hides the seemingly embarrassing, but ultimately (after several listens) impressive Sabbath “Iron Man” cover. Original vinyl copies of this Cardigans record are going for over $100 online, thanks mainly to the fact that the format was in deep decline here in 1996, so not that many were pressed. But, bargain hunter and more importantly pop fans rejoice, this (reasonably priced) vinyl re-release of the oft-overlook mid-1990s pop music gem is finally getting it’s due. 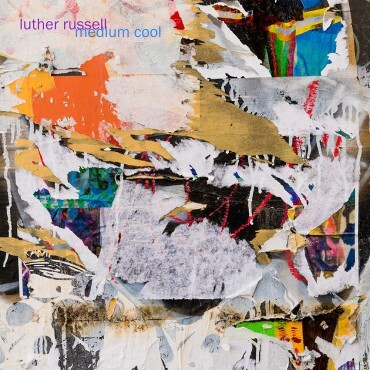 Luther Russell has drifted under the radar of many for the past few decades, but his 2018 double album anthology, Selective Memories helped clue in the uninitiated to his brilliant knack for writing Power Pop and Rock songs that brim with substance. His latest, Medium Cool, continues that streak, shunning trendy musical fades for a timeless set of guitar-driven, strong narrative songs that could have come out at any time over the past 40 years. The influence of his sometime-collaborator Jody Stephens shines through on a bulk of these songs, that sport a strong Big Star influence (“The Sound of Rock & Roll,” “Can’t Be Sad”), but elsewhere he is straight up, prefix-free rock (“Corvette Summer,” “Sad Lady”). There are one or few tracks here that don’t quite measure up to the rest, but that hardly takes away from the overall greatness of Medium Cool. Themes of cruising around, checking out bands and teenage romance drama fill out the record, that sounds like the perfect summer soundtrack to a world before cell phones and Instagram stories. Texas has a remarkably diverse musical heritage that spans from Outlaw Country and Rock to Tejano – making it arguable one of the most brilliantly disparate musical landscapes this country has to offer. And it seems all six members of the Dallas-based Vandoliers have soaked up every bit of those influences over the years. Their latest release, and first for Bloodshot Records, Forever, is essentially a love letter to every pocket of Texas music out there. Cramming in Americana, Punk Rock, Country and Tejano throughout the 10 tracks here for an exhausting, though remarkably satisfying tour of everything that makes Lone Star music enduring. The band seamlessly slips in and out of a slew of different genres, from rollicking numbers like “Troublemaker” and “All on Black,” perfectly accentuated by Tex Mex horns and twangy guitars, to the sublime funk of “Shoshone Rose,” the band turn in a near-perfect album. 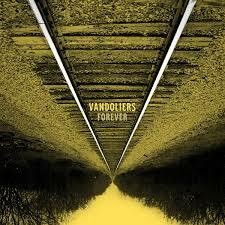 Fans of everyone from Doug Sahm and Buddy Holly to Stevie Ray Vaughn and Waylon Jennings can rest assured that their legacy lives on strong in a band like Vandoliers.